If you’re unfamiliar with the long, arduous, pointless, forever-and-a-day long battle over the rights to certain images and artwork used in the BattleTech and MechWarrior universes, trust us when we say that there are a lot of parts to it we wish were handled over 20 years ago. If you’re not familiar with what fans call “The Unseen Saga”, we recommend clicking this link and reading about the ongoing battle since 1996 over the copyrights to a set of specific mech and vehicle designs that apparently no one could agree who owned the rights to and who could give permission to use. 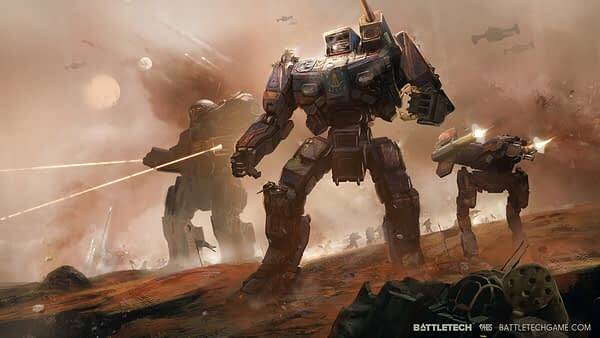 This week, a judge dismissed the case Harmony Gold (the company that owns Robotech) was pursuing against Hairbrained Schemes (who just produced the 2018 BattleTech game) with prejudice, meaning that not only is the company not responsible for infringement but that Harmony Gold cannot raise this issue up ever again with them. Now it’s just a matter of waiting to see how a judge rules in the same kind of case against Piranha Games (who are about to release MechWarrior 5). If everything works out like some suspect it will, a lot of those Unseen designs could suddenly be making their way back into both games.